fresh energy and heartfelt enthusiasm to the country’s most exciting wine area. 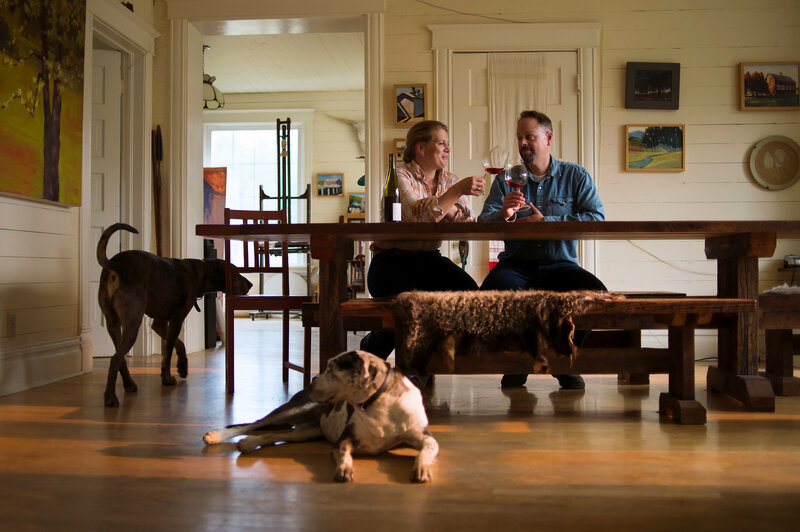 The husband-and-wife team have operated their winery in just this fashion since acquiring 70 acres off a dirt road here in the hills of the northern Willamette Valley a decade ago. They have stitched together a do-it-yourself operation: Mr. Marcy, the winemaker, buys grapes from a network of 12 vineyards, all within an hour of the farm, and tends the vegetable crops, and Ms. Carver, an accomplished artist, looks after the business, including drawing labels, wrapping bottles in paper by hand, marketing, entertaining visitors and raising animals. The Big Table menagerie includes 16 Irish Dexter cattle that are raised for beef, two American Guinea hogs, a couple of horses, six beehives, chickens, assorted dogs and cats, and an old goat who roves the place as a sort of mascot. This is no show farm. Ms. Carver slaughters the hogs for home consumption. I can testify that a leg of Iberico-style ham from Bert, a former denizen, was delicious. To sell the beef commercially, the cattle must be sent to a licensed slaughterhouse, though Ms. 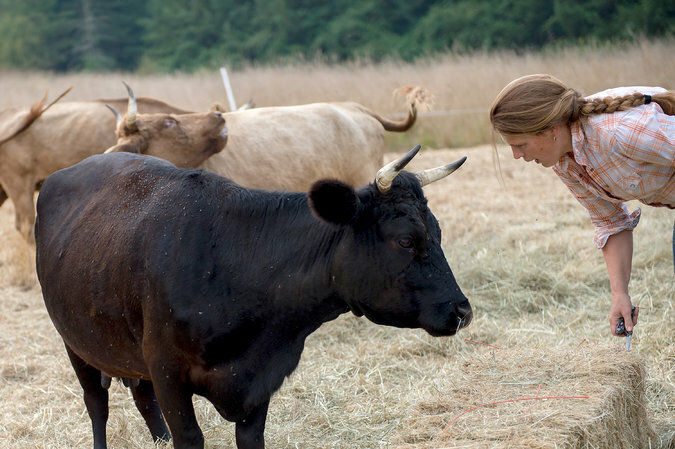 Carver takes care of the abrupt conversion of male calves to steers. The chickens and vegetables may be served up for team lunches with the farm’s two employees or meals for the harvest crew. “There’s a sense of continuity and grounding that comes with being connected to the place,” Ms. Carver said. You can sense that in the wines, too, largely pinot noirs and chardonnays that are both charming and delicious, if not always perfectly refined. Their barnlike winery, which they designed and built themselves, was financed partly by crowdfunding. One hundred people gave $1,700 each, for which they received wine and a plaque in the winery. The last and most costly piece, clearing and planting their own vineyard, remains a dream. But they have identified approximately 5 to 15 likely acres on the farm. Big Table is one of many energetic, heartfelt operations that make Oregon such a fascinating place. I’m not one to make grand pronouncements about wine. The subject is too complex — and the stakes, frankly, too low — to warrant the sort of bold simplifications that seem to win at politics but lose at any deeper understanding of even this small part of the world. But after spending 10 days here in late July, visiting winemakers, tasting an awful lot of bottles and, incidentally, speaking at the International Pinot Noir Celebration, I can’t help but conclude that Oregon is right now the single most exciting winemaking area in the United States. That is not to say that great things are not happening in the rest of the country. I am fascinated by what producers are achieving all over California; in Walla Walla, Wash.; and in the Finger Lakes region of New York. Great wines are being made in Michigan, in Vermont, in Texas and beyond. Collectively speaking, nowhere else does the level of quality seem so high, the perspectives so diverse or the experimentation so fierce as it is in Oregon right now. Here in the Willamette Valley, pinot noir is the dominant story, and it is hard to argue with its success. Pioneers like The Eyrie Vineyards, arguably the first to succeed with pinot noir in the 1970s, and Domaine Drouhin Oregon, whose founding in 1987 by the renowned Burgundy house Joseph Drouhin gave international credibility to the region, have grown and evolved, humming along on success after success. They were joined by a wave of producers in the 1990s, like Cristom Vineyards, Brick House Vineyards and Soter Vineyards. In the new century, more excellent producers arrived, like Big Farm, Antica Terra, J. Christopher, Walter Scott and Day Wines. All are making superb, distinctive wines that reflect their Willamette terroirs while respecting the Burgundian ideal: pinot noir as a wine of grace and finesse. Yet pinot noir is not the sole narrative of the Willamette Valley. 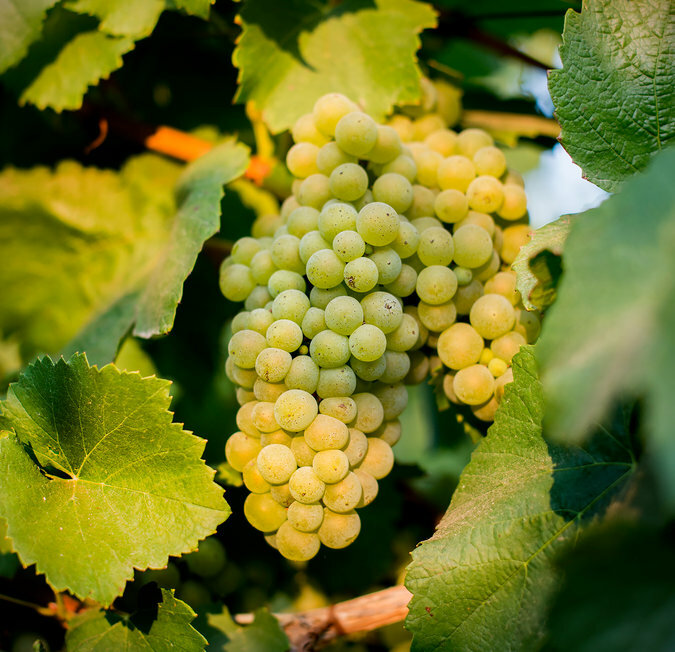 After a few false starts with chardonnay, the quality in the last decade has gotten better and better, especially in wines with a lean, minerally, energetic style. Burgundians have flocked to Oregon in the wake of Drouhin’s success. Dominique Lafon of Domaine des Comtes Lafon in Meursault is working with Larry Stone, a pioneering American sommelier who planted 66 acres in 2013 in the Eola-Amity Hills region. Their operation, Lingua Franca, now sells elegant pinot noirs and chardonnays from purchased grapes and, this year, an excellent rosé from the vineyard’s first crop. 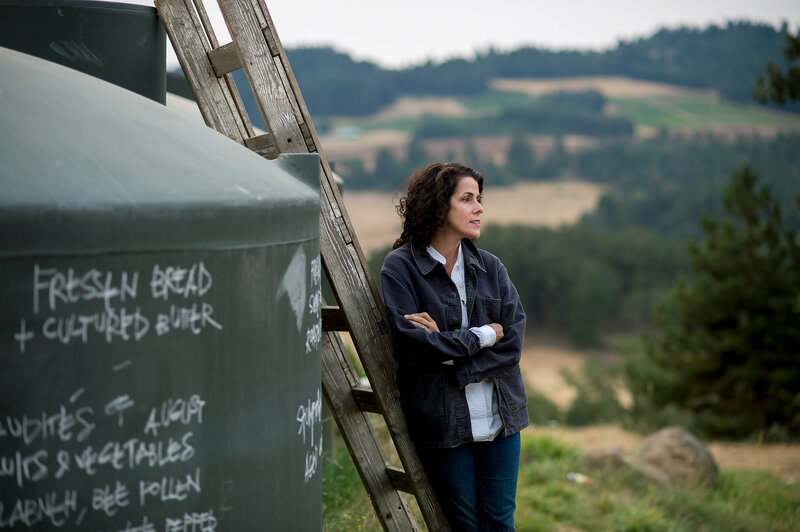 There’s also Alexandrine Roy of Domaine Marc Roy of Gevrey-Chambertin, working with Phelps Creek Vineyards in the Columbia Gorge area; and Jean-Nicolas Méo of Méo-Camuzet in Vosnes-Romanée, who bought land in the Willamette with Jay Boberg, a music entrepreneur. The first vintage of Nicolas-Jay was 2014. Jacques Lardière, the longtime technical director at Louis Jadot, the Burgundy house, is now overseeing Jadot’s new Résonance operation, and Louis-Michel Liger-Belair of Comte Liger-Belair is the consulting winemaker for Chapter 24 Vineyards. Oregon has established itself so well that a thriving wine counterculture has arisen, which, if not exactly rebelling against the dominance of pinot noir, is seeking to offer alternatives that are delicious and cheaper. 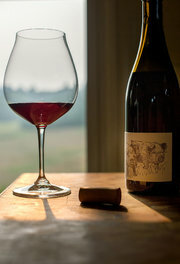 Gamay, or gamay noir as it is habitually called in Oregon, is one possibility. I’ve tried wonderful gamays from new wave négociants like Division, Bow & Arrow and The Color Collector, a start-up that made only 100 cases in 2015, its first commercial vintage. But precious little gamay is currently available in Oregon, and with the price of pinot noir dwarfing what growers can get for gamay, that may not change soon. Still, the innovators are undaunted. 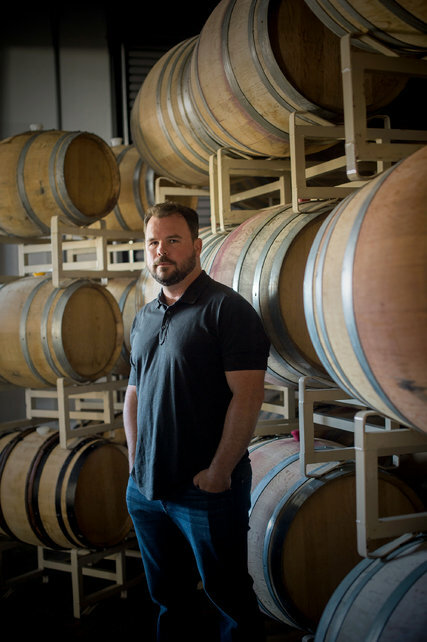 Chad Stock of Minimus Wines and Craft Wine Company is experimenting with dozens of varieties, organically grown and naturally made, including albariño, mondeuse and other esoteric grapes. 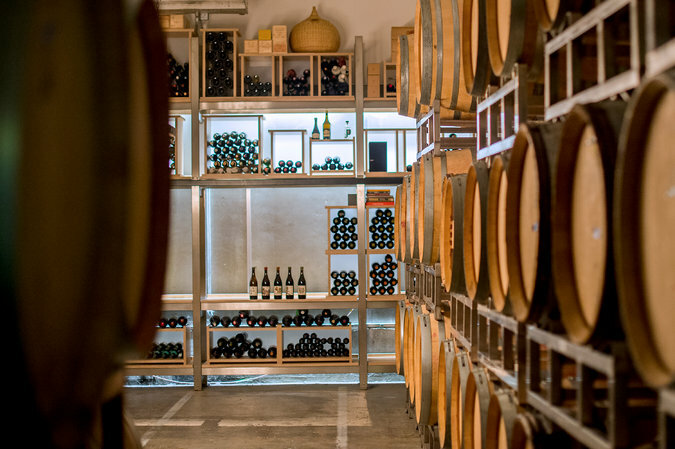 He makes tiny cuvées simply to see what could work, and experiments with alternatives to oak barrels, like acacia and chestnut, which have their own traditions in different parts of the world. Brianne Day of Day Wines, whose fine pinot noirs from the Willamette are nuanced, also buys grapes like tannat and cabernet franc from the Applegate Valley in the south of Oregon to make almost instinctive blends that are balanced and delicious. During my visit, I tried dolcettos and nebbiolos, assyrtikos and aligotés, gewürztraminers and others from labels like Holden Wine Company, Franchere Wine Company, Smockshop Band and Hiyu Wine Farm. Many were terrific. Seek them out if you are in the mood to sample some surprising, provocative wines. Part of what I love about Oregon, and the Willamette Valley in particular, is the small scale. Most Willamette wineries are family operations, and the business of the valley is clearly agriculture, not tourism. It has yet to see the large-scale hotels, fancy restaurants and extravagant winery structures that make, say, Napa Valley seem more Disney than farmland. Big wine companies like Jackson Family Wines and Ste. Michelle Wine Estates have started to buy in. This is not a bad thing, but it does bring with it the possibility, at least, that big companies will want to push tourism, and that land values will rise quickly. In which case, dreams like Big Table Farm’s may no longer be possible, even a little bit at a time.